This is a very brief reference sheet than an exhaustive list of CSS terms: it is intended to provide you with a way to look up the information you’re most likely to need right away. 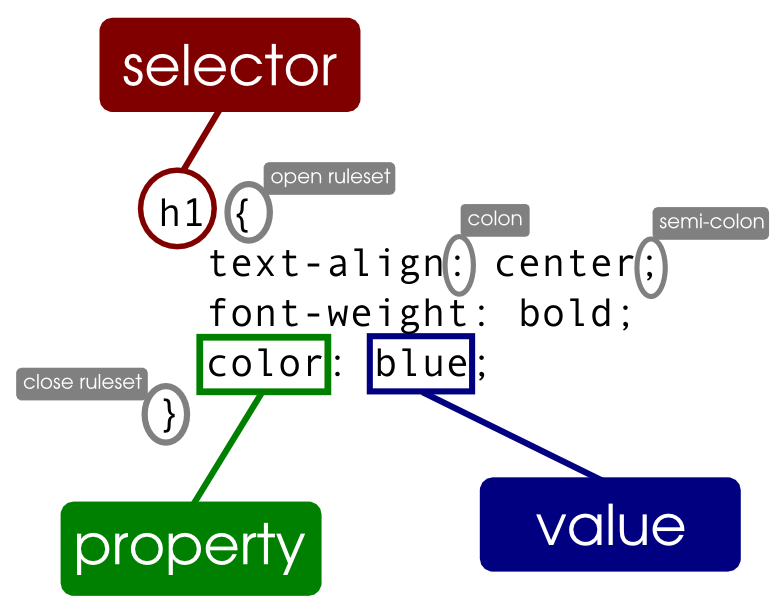 For detailed information about CSS syntax, selectors, and properties, visit the W3C’s CSS tutorial pages at http://www.w3schools.com/css/. The components of a ruleset.